Red Rubber Inspirations: Happy Fourth of July! I hope everyone has a safe and happy Fourth of July! At Red Rubber Designs, it means the end of our June 20% Off Sale. So don't delay if you want excellent prices on over 200 items in the store - your discount shows up in your shopping cart. But that also means that it's the First Thursday of the month this week. New stamps, a new Spotlight Stamp, a new blog hop by our Design Team with a new game for you to play for the chance at winning the prize - the new Spotlight Stamp! 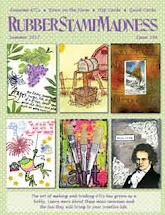 All the fun starts on Thursday, July 5th at 7:00 PM Central time, right here on the Red Rubber Designs blog. Join us! Our Design Team has certainly outdone themselves. 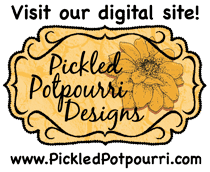 Be sure to visit them - you can find their blog links in the right sidebar. And don't forget the First Thursday Blog Hop, during which they feature the new Spotlight Stamp, each in their own unique style. Unfortunately, this week we say goodbye to one of our Design Team members, Debra Miller. Due to her commitments and schedule she is unable to continue with us. Debra has done a fabulous job for us and her work is nothing short of stunning. We wish her well. Thank you, Debra! Don't forget to sign up for the Red Rubber Designs Newsletter - where you can get more information on upcoming specials, sales and more!